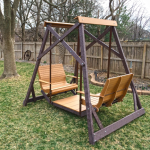 SwingScapes - Quality, hand-crafted glider swings. 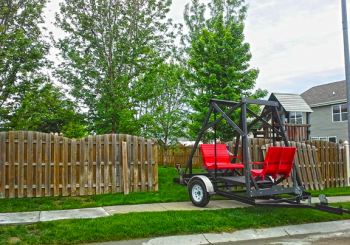 The way life was meant to be. The way life is supposed to be spent! 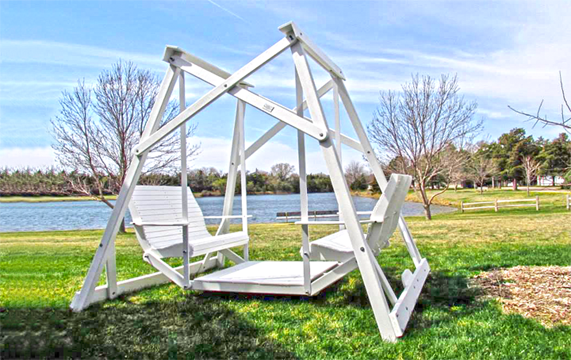 Our products are all made in America with low maintenance, recycled materials. 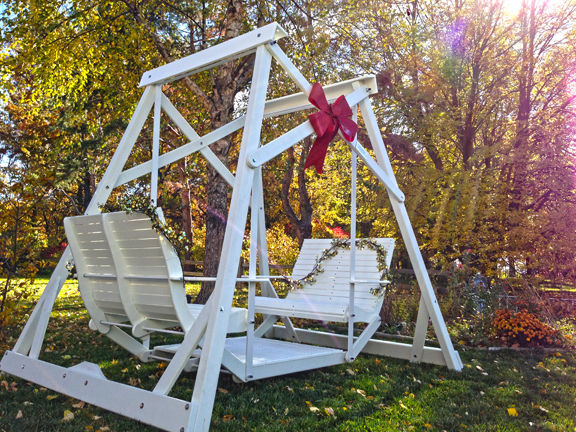 Learn to kick back and relax. 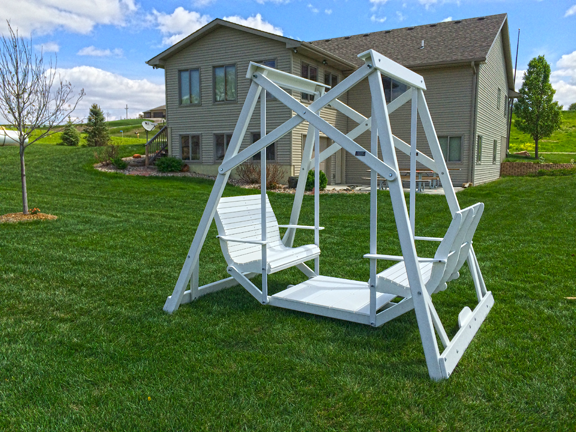 Our company creates quality, hand-crafted lawn glider swings made right here in the U.S.A. 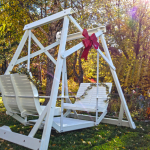 Your swing is sure to provide years of enjoyment for you, your guests and loved ones. 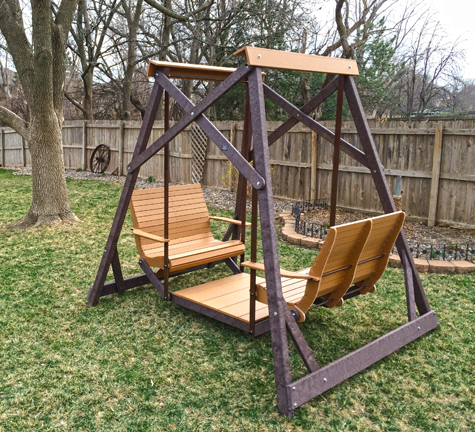 SwingScapes lawn glider swings are perfect for more than just backyards; they fit well at campgrounds, state parks, pumpkin patches, restaurants and more. 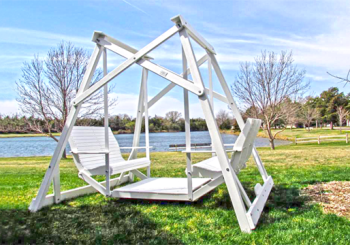 Made of recycled plastic, one swing removes more than 4,000 milk jugs from a landfill. 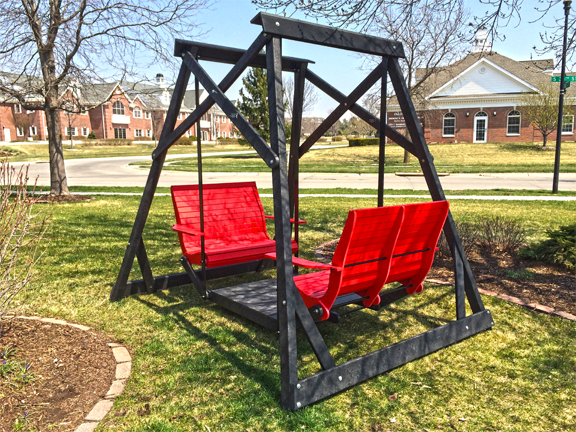 SwingScapes furniture is not only long lasting and maintenance free, it requires no painting or staining. 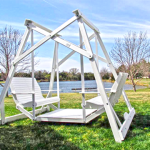 On this site, find a generous selection of furniture to compliment your lawn glider swing or get items separately. 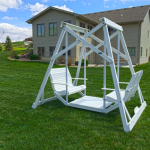 For information about our products, call 402.327.9464, email or stop by our showroom at 2211 Winthrop Road, Lincoln, NE 68502. 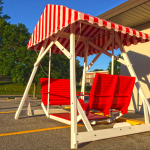 (open 7 a.m. to 5 p.m. Monday through Friday or by appointment). 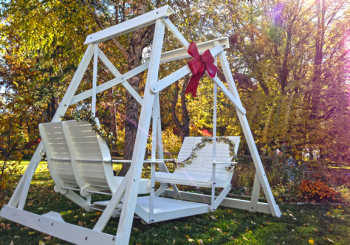 If you’re in Minnesota, Iowa, Wisconsin the Dakotas or Nebraska, call us about bringing a swing to you so you can see how it looks and feels in your setting! 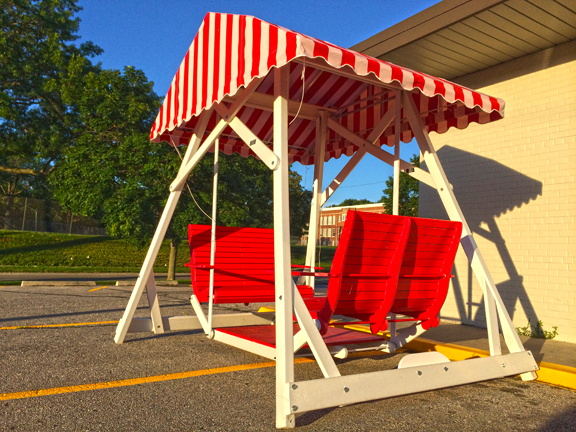 Gather your people, sit down, get swingin’ and Experience the Bliss! 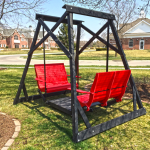 Why Choose SwingScapes For Your Lawn Furniture Needs?